I remember having performance issues with Skype for as long as I've had a Mac (going back to 2008 now!) However if you have had the pleasure (heavy sarcasm there!) 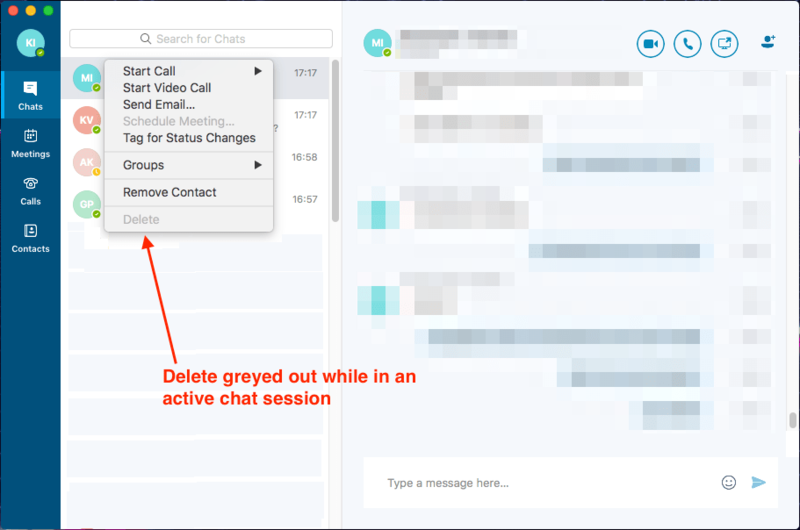 of using Skype for Business or Lync as it used to be called, it could get so laggy and unresponsive that it was not possible to talk to your colleagues any more. Luckily I found a way of making S4B responsive again and this trick worked every time I've tried. With S4B all of your conversations are stored on the server. This is what I believe caused these lag issues. I noticed that when I was switching chats from one person to another, there would be a considerable delay. I also noticed that on some chats even typing a few letters would cause huge amounts of lag. This always happened for chats that were large or chats that were retained for several weeks/months. So I figured that this lag and usability issues were due to S4B downloading all the data from the server all the time. I proceeded to delete every chat I had and magically everything sped up! The next time I talked to someone there was no lag in opening a chat window, no input lag while typing, it was fast and responsive! So the solution to fixing this lag was - delete your chats as often as possible. Unfortunately S4B doesn't always let you delete a chat. This happens if you are currently in a chat session with someone. Right-clicking the chat will show the delete menu item, but it will be greyed out. 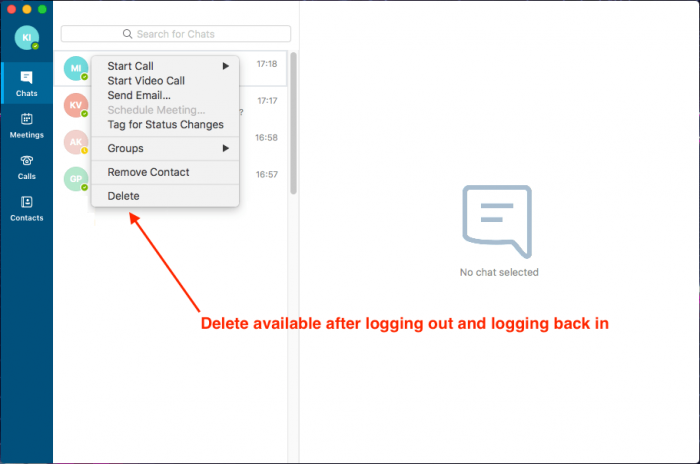 It can be a real pain having to delete all your chats the first time around - especially if you have dozens or hundreds of chats in S4B's history. It took me quite some time to do it the first time, but now I got into the habit of deleting a chat as soon as I'm finished talking with someone. Easy.